Judging by comments and social media interactions, everyone agrees that loot boxes are bad for gamers, but lately I've come to conclude they're even bad for the publishers pushing them. Yes, I realize that loot boxes make a lot of money. In fact, last year EA made $787 million dollars on microtransactions in the third fiscal quarter. Microtransactions rake in billions for EA, and billions more for the rest of the industry. That's what makes loot boxes so dangerous. They made lots of money from a given group of gamers playing a particular genre of videogames, and now publishers have mistaken this for a magical money-making strategy. They've decided to put loot boxes into as many games possible, without considering the needs of different genres or how players engage with them. In the process they are actively harming their products, creating animosity with their customers, and inciting the creation of legislation that will threaten their established revenue streams. The publishers are going to damage their own bottom line by putting loot boxes into games and turning the entire experience into a fancy frontend for a slot machine. I realize it's hard to argue that something is bad for the publishers if it brings them ten-digit income, but hear me out. As an aside, I think we focus too much on the box itself and not on the operant conditioning chamber mechanic it represents. For example, a game could throw away the entire box idea and have you pay real money to fight a pushover boss that drops random loot identical to what you'd get out of a loot box. Or you could pay real money for a single-use rocket launcher that can blow open an otherwise impassable door that gives you access to the items you'd normally get out of a loot box. Those sorts of things would be mechanically and financially identical to a loot box, but it wouldn't be called a loot box because the user never opens a literal box to get their prizes. The problem isn't the box itself, but the chance-based gameplay loop it represents. We don't have a good word for this concept. Calling it "gambling" is probably more useful, but you still get into technical arguments about where you draw the line between gambling and gameplay. Is it gambling if you don't put real money in? Is it gambling if you can't get real money out? Is it gambling if you know ahead of time the exact value of the items you'll receive? Is Hearthstone gambling? Is Diablo 2? Is the problem the randomness of the rewards, or that the player can pay money for an advantage over other players? Different people have different answers to these questions and by focusing on the superficial portrayal of "open container, get things" we end up in very abstract arguments with armchair lawyers haggling over dictionary definitions. I'm using the term "loot box" here to avoid getting sidetracked by rules-lawyers and nitpickers, but I just want to point out that the box itself has nothing to do with the problem. When someone comes up with a more accurate term that zeroes in on services that accept real-world money in exchange for (a chance at) in-game progression, we can use that instead. Until then, we're stuck with the frustrating and imprecise "loot box". A lot of people take a hardline stance against this sort of thing. They take the position that microtransactions are gambling, gambling is dangerous for children and therefore we need to remove microtransactions from all games. While I understand the desire to protect children, I really dislike this particular argument for the way it infantilizes gamers. We just spent a quarter century trying to explain to the non-gamers of the world that games are an art form like any other and not just toys for kids. Games can be for adults too, and thus games should be allowed to offer experiences that are designed for adults. By all means, let's hate on loot boxes. But let's not resort to lazy "But think of the children!" type moral panic when there are other arguments far more useful and less demeaning to the general gaming public. While the loot box controversy is relatively new, we've had them for years. In 2006, UEFA introduced Ultimate Team Mode, which was basically a collectible card game within a football game. You could buy packs of cards (players) for in-game currency. Then in 2009, EA added Ultimate Team Mode to their flagship title FIFA, with the change that you could now purchase card packs for real money. The thing is, there wasn't an uproar at the time. Ultimate Team Mode was an optional game mode, and you were free to ignore it if you wanted. The only people who played it were those who wanted to engage with a CCG experience. It was popular, it made a ton of money, and there wasn't a backlash because the whole thing was optional. This is where it all went wrong. The publishers saw the ridiculous amounts of money that loot boxes were bringing in, and they foolishly assumed that they could transplant that same idea to other genres of videogames. This shows a complete lack of understanding about how the different game genres work, and an embarrassing ignorance about their own customers. 1. Slot machines are not for everyone. In FIFA, people that didn't care for Ultimate Team Mode were free to enjoy the more straightforward progression system in the main game mode. It requires ignorance that borders on industry illiteracy to imagine that the optional pay-to-win mode in FIFA would be an appropriate thing to add to the core gameplay of (say) a team-based multiplayer shooter. 2. Sports games and narrative-based games are different kinds of experiences. Sports and gambling have always gone together. Also, the idea of a "sports card" is over a century old and is woven into the culture of sports fandom. So the card packs in FIFA made some kind of sense on a mechanical and thematic level. Moreover, the card packs in Ultimate Team Mode sort of simulated the challenge of recruiting top-tier players. You can't take that same mechanic and ram it into an action adventure or a roleplaying game without creating huge levels of immersion-breaking dissonance. Shadow of War isn't "FIFA with swords", and there's no way to put slot machines into the game without damaging the experience. Yes, Warner Bros later removed the loot boxes, but leadership with even the most basic grasp of the hobby would have known it was a horrible idea from the outset. 3. People who play sports games and people who play narrative-based games are very different. The needs and expectations of your average Battlefront player are going to be very different from the needs and expectations of your average FIFA player. Specifically, people engaging in a 40-player battle are going to be a lot more sensitive to pay-to-win situations than players who play football against the AI for leaderboard rankings. I'm actually having trouble imagining just how out of touch you'd need to be before concluding that an optional gambling-based game mode in a sports game would be a good fit as a mandatory part of a narrative game. This goes back to a point I've been harping on for years: The people in leadership roles at the big publishers are disconnected from their customers. They're not gamers, and they only understand their customers through the lens of focus groups and market research. This makes them reactionary, slow to adapt, and prone to getting blindsided by problems that are obvious to people who understand the hobby. For a moment, let's set aside all the moral concerns about exploiting children and preying on people with gambling problems. Let's forget about how damaging loot box based mechanics are to traditional gameplay loops. Let's assume we don't care about the games or the people who play them, and that the only thing we care about is making as much money as impossible. Even looking through this amoral and artistically bankrupt lens, loot boxes are still bad because publishers have no idea how to use them without generating controversy, bad press, and legislation. 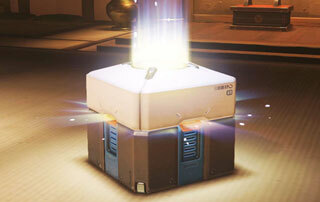 The heavy-handed rollout of loot box-driven progression over the last few years has created a backlash. Loot boxes are impacting the age rating of games and even getting them banned outright. EA has finally realized they've screwed up. They're promising that Anthem and Battlefield V won't have loot boxes. At the same time, I doubt they've learned how to avoid these sorts of mistakes in the future. FIFA featured Ultimate Team Mode for years and nobody batted an eye, but now publisher bungling has provoked a reaction that threatens this cash cow. The damage is done, and EA will need incredible luck to get back to where they were just a few years ago.